Hajime Tabata, director of Final Fantasy XV, has been having a tough time trying to find a Nintendo Switch in Japan. According to Tabata, he wasn’t able to purchase a Nintendo Switch online as it’s always sold out. Tabata doesn’t have the time to line up for the crazy Nintendo Switch lotteries either. Although he doesn’t have the console, he has already bought the games he wants to play. 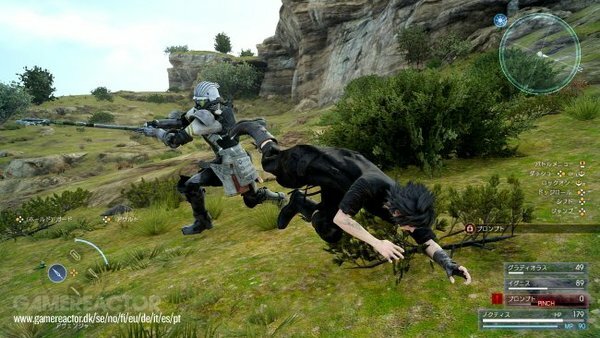 Tabata also mentioned that his Nintendo Switch tease for Final Fantasy XV at Gamescom was “a joke response”. He said Nintendo called him after the tease was made, but Tabata couldn’t reveal what Nintendo said. “That said, we aren’t dismissing the hardware in any way. We believe it’s a great platform, and we’re open to looking for opportunities. And if the opportunity presents itself, and there’s something we can do on that given platform, we’d like to do it,” added Tabata.